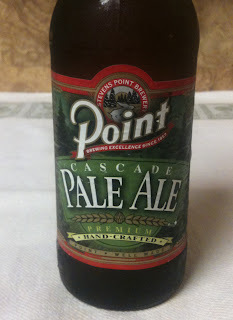 Tonight I will have a Point Cascade Pale Ale from Stevens Point Brewery. Twelve ounce bottle. Their web site lists 5.4% ABV and 33 IBUs. 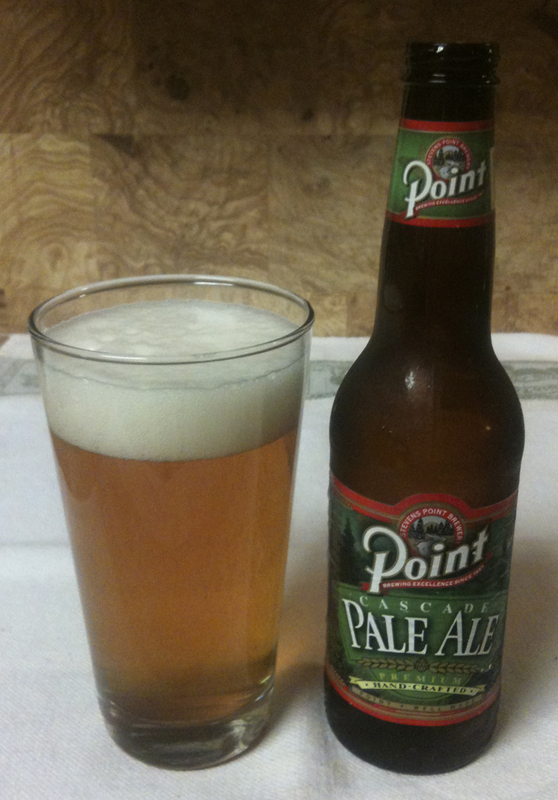 This beer poured with a thick, bone to creamy colored head. Beer color is a darker golden yellow, almost an amber. Aroma is mild, with some citrus, fruit and floral; a little sweetness. The taste is mild as well. Maybe my taste buds are jaded, but I don't get the complexity in the taste that I did in the aroma. Bready malt; just a touch of citrus and a very slight underlying bitterness. Nice carbonation. Slightly grassy aftertaste. Not a bad beer, but very tame.